Did you know that sunglasses are so cool that they have their own day? That’s right June 27, 2018 is National Sunglasses Day. Just because it’s your wedding day is no reason to not practice sun safe behavior and custom printed sunglasses like these will make it easy for you to look “cool” while protecting your eyes at your outdoor reception. On sites like Etsy you can find shades printed for brides, grooms, bridesmaids, groomsmen, flower girls and ring boys; in other words your whole wedding party can look as cool as you do. Sunglasses can also be printed with your name and wedding date as a thoughtful wedding favor for guests of your outdoor wedding or reception. September 14th is National Cream Filled Donut Day. Therefore today’s blog post is all about following the trend of including these delectable desserts as part of your wedding day festivities. 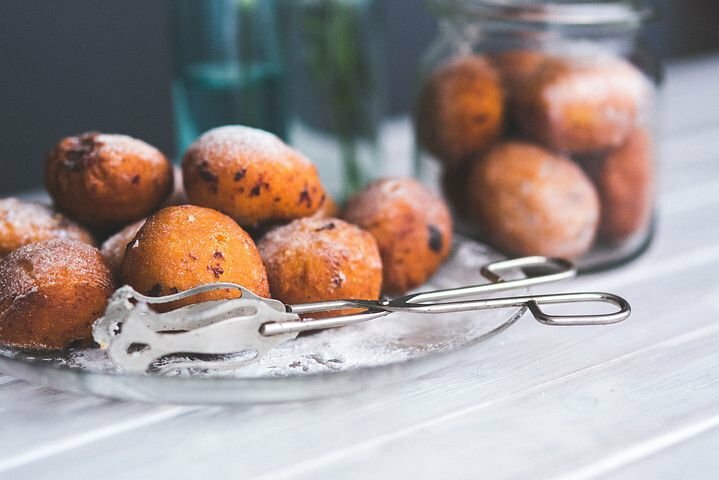 Here are five ways that are sure to make a sweet impression on your guests. 1. The donut buffet: According to Carrie Lux of Details on Demand, designer of donut and wedding favor bags, donut buffets are super popular right now. Indeed this is a wedding trend that shows no signs of letting up. 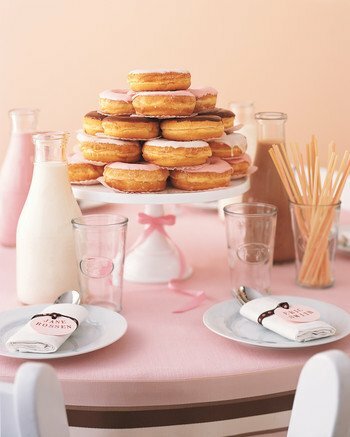 Many couples offer the donut buffet as a stand-in or alternative to the traditional wedding cake. However there are other ways to offer these tasty treats to your friends and family. 2. 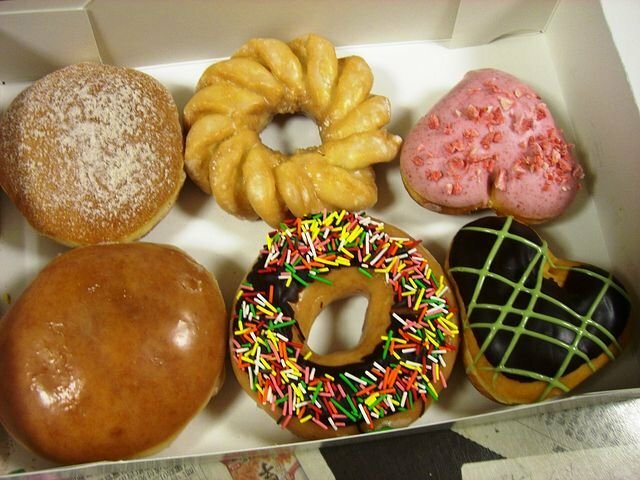 As a welcome gifts: Have boxes of warm donuts delivered, in place of fruit baskets or other standard fare, to the hotel rooms of your out of town guests. 3. 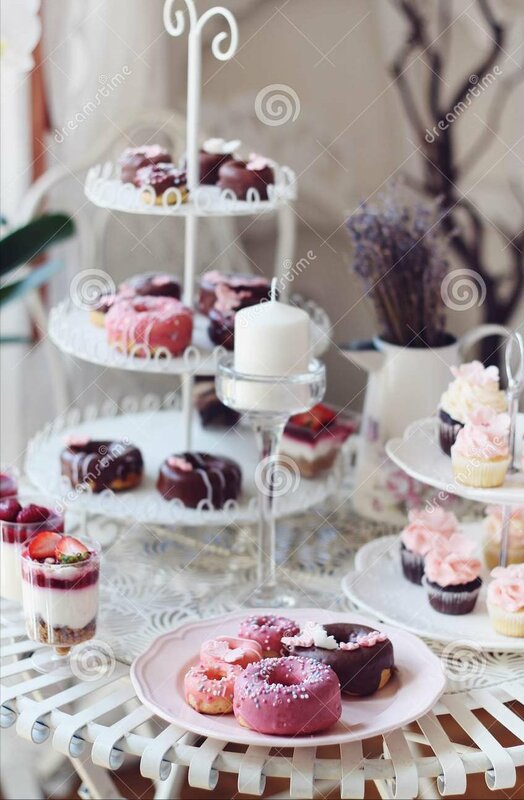 As a centerpiece: Use towers of donuts frosted with chocolate, vanilla and strawberry icing as a centerpiece for the kids table. Use paper coasters or flattened coffee filters between the layers to prevent the donuts from sticking together. Photo credit Martha Stewart Weddings. 4. 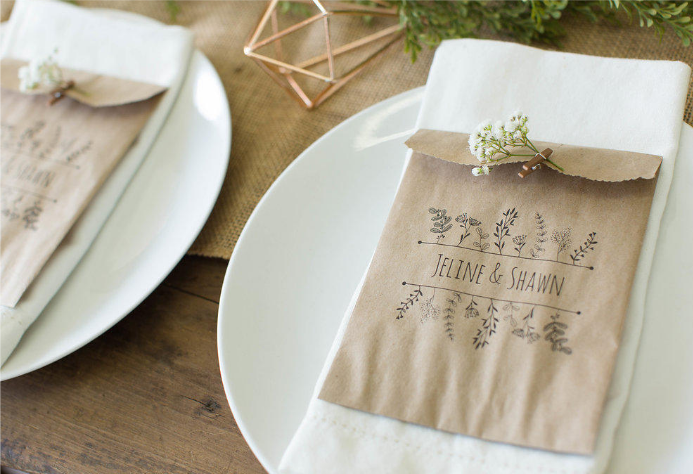 As wedding favors: place donuts in donut bags and leave on place settings for your guests. You can also place the bags near the donut buffet for guests to fill with the pastry of their choosing. Bags available from Details on Demand.